Dunlop Systems and Components designs and manufactures advanced electronic control systems and air suspension components for the automotive and ancillary industries. We design, validate and manufacture systems for an increasingly varied range of customers and products. Specialists in Air Suspension products, from a single component to a bespoke electronic control system design, Dunlop Systems and Components can deliver the right solution to meet your needs. At our facility in Coventry we employ approximately 90 people in our engineering and manufacturing operations and turn over approximately £10m per year. The Dunlop Pneumatic Tyre Company opened its first factory in the Hillfields area of Coventry in 1890. In 1908, following the acquisition of the neighbouring Stevenson Wheel Company, the Coventry factory was renamed the Dunlop Rim & Wheel Company Limited. The company relocated to the Holbrook Lane site in Coventry in 1919, where over the years it developed its engineering contribution to both the automotive and aviation industries. In 1959, collaboration between the British Motor Corporation,Moulton Developments and Dunlop saw the launch of the Mini motor car (ADO15). This was fitted with Dunlop manufactured cone spring suspension which, due to its success, quickly resulted in Dunlop forming a Suspensions Division in Coventry. The partnership continued with the launch of the BMC 1100 (ADO16) in 1962, followed by the 1800 (ADO17), both of which were fitted with Hydrolastic suspension manufactured by the Dunlop Suspension Division. With the change to Leyland cars in the 1970s came a further development, with the introduction of hydragas suspension on the Allegro, Princess, Metro, Ambassador and MGF vehicles. 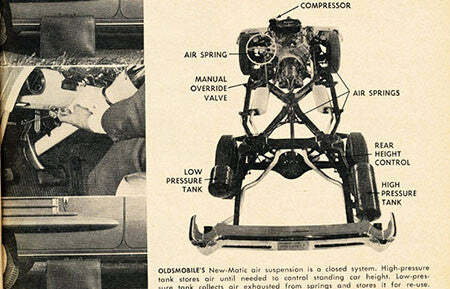 In 1970, The Suspension Division enlarged to include the further development and manufacture of the Pneuride® & Flexolink® air suspension systems, initially having levelling valves, to serve the commercial and public service vehicle market. With the introduction of Electronically Controlled Air Suspension (ECAS) in 1990 for Range Rover, the company extended the Pneuride range to include the sports utility market. During 2007 Dunlop Systems and Components was formed as a management buyout of the Dunlop Coventry suspension division factory from previous owners Trelleborg AB. In the spring of 2014, the company moved to an all new, purpose built factory at Prologis Park in Coventry so ending a 95-year history at nearby Holbrook Lane. 1890 - The Dunlop Pneumatic Tyre company moves to Coventry the heart of bicycle manufacture in the UK. 1914-18 - White and Pope expand the munitions factories in Holbrooks from 350–12,000 employees making fuses and engines for the war effort.